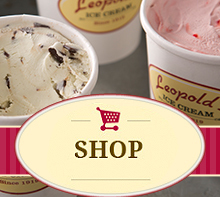 Leopold's Ice Cream / Scrapbook / From our team / Join the “I Pledge” Project! Join the “I Pledge” Project! Attention ice cream & frozen dessert shops ! It’s time to start gearing up for the I Pledge project! This growing campaign to reward patriotic children will be bigger than ever this year, and we can’t wait to get you involved! Visit our website for details and contact us today to join the dozens of stores already participating!